While beavers are considered to be pests by some, scientists actually have proven that beavers are a “Keystone” species in North America. This means that beavers play a crucial role in biodiversity. 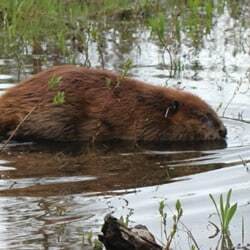 Innumerable species rely either partly or entirely on beaver-created habitat, and many of these species are either threatened or endangered. Therefore, whenever we can coexist with beavers, we are providing the habitat necessary for supporting many other species, and protecting the web of life upon which we all depend. In addition to the very important biodiversity issue, most people are not aware that there are many other benefits to beaver ponds as outlined below.